Thank you for leaving your wonderful feedback! We're so pleased that you are happy with the service you received from in-toto Northampton, and we hope that you continue to enjoy your new in-toto kitchen for many more years to come. It was a pleasure working with you both and the result speaks for itself. Wishing you the very best and look forward to sharing a cup of coffee or two ! Thank you for your wonderful feedback. We are delighted that you are happy the service provided by in-toto Mere Green. Thank you so much for taking the time to leave such a positive review of your experience with in-toto Oxford. Denise Howard and her team strive for excellence in both design and customer service, and it is fantastic to see that they continue to achieve this. Thank you again for your feedback and we hope you enjoy your in-toto kitchen for many years to come. Thank you so much for taking the time to leave such a positive review of your experience with in-toto Mere Green. We’re delighted to hear that you and your visitors love your new in-toto kitchen, and it was a pleasure to use it in our 2017 brochure. Thank you again for your feedback and we hope you enjoy your kitchen for many years to come. Thank you very much for taking the time to leave feedback of your experience with in-toto Northampton. We are pleased to hear that not only were you impressed with the product, but also the service you received from Amish and the rest of the in-toto Northampton team – they will be over the moon with your feedback! Thank you once again and we hope you enjoy your kitchen for many years to come. Thank you so much for taking the time to leave such a positive review of your experience with in-toto Dulwich. We hope you enjoy your kitchen for many years to come. Thank you for taking the time to leave such a fantastic review of your experience with in-toto Northampton. We hope you and your visitors continue to be wowed by your kitchen for many years to come! Thank you so much for taking the time to leave such a lovely review of your experience with in-toto Mere Green. 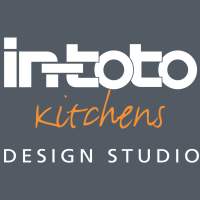 We’re pleased to hear that you were happy with all aspects of your in-toto Kitchens experience, from concept to completion. 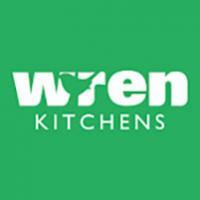 Please feel free to share some photographs of your finished kitchen with us on our Facebook page. Thank you again for your feedback, and we hope you enjoy your kitchen for many years to come. Helpful writing - Speaking of which , if someone needs a Buyers Guide Warranties for Vehicle , my husband used a template version. We’re very sorry to hear you are unhappy with the service you have received. Please call us at Head Office and we will be happy to assist. Thank you very much for taking the time to leave such fantastic feedback of your experience with in-toto Northampton. You words are testament to Amish and the in-toto Northampton team’s hard work. We are pleased to hear that your kitchen is receiving lots of praise and stands out, as it rightfully should, as the heart of your home. Thank you very much for taking the time to leave this feedback of your experience with in-toto Dulwich. We are pleased to hear you are happy with your new kitchen, and hope you enjoy it for many years to come. Thank you very much for taking the time to leave this feedback of your experience with in-toto Northampton. 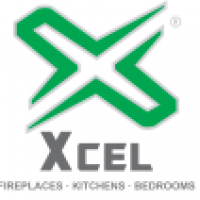 We are pleased to hear that you are happy with your new kitchen and hope you enjoy it for many years to come. Thank you so much for taking the time to leave such positive feedback on your experience with in-toto Northampton. It is lovely to hear that you are happy with both the service you received and your finished kitchen, which we hope you will enjoy for many years to come. Thank you so much for taking the time to leave such positive feedback of your experience with in-toto Leeds. At in-toto, we pride ourselves on great quality product and excellent customer service, so it’s fantastic to hear that we have achieved this. I hope you enjoy your kitchen for many years to come. Thank you so much for taking the time to leave such a lovely review of your experience with in-toto Birmingham. We’re pleased to hear how happy you are, and we hope you enjoy your in-toto kitchen for many years to come! Thank you so much for leaving such positive feedback on your experience with in-toto Kitchens. We believe the kitchen is the heart of the home, so it’s great to hear that you also feel the same about your kitchen, and are pleased with the transformation. Please could you let me know which in-toto design studio you dealt with so I can pass this message on to them? thank you for your kind words. We were very privileged to work on your amazing kitchen project; especially after your many years of searching for the right kitchen partner. Your own input to the design process was refreshing and most welcomed and it certainly challenged our design expertise to the full. The end result is definitely a WOW - a kitchen design we are extremely proud of.